Healthezone offers an extensive range of quality seat cushion products to provide everyday therapeutic support and blissful comfort. We import such products as the highly popular Jobri or TOGU lines of car and seat supports. Choose from regular foam, memory heat sensitive foam or air filled seat cushions and back supports, including coccyx cut out seat wedges. 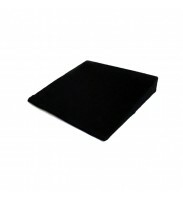 This super Bad Backs seat wedge cushion helps improve your spine alignment for improved back care, and is angled to neutralize the concavity of sunken and sloping seats that compress the body and spine. Sometimes called a Tush Cush ! When using with a sunken or sloped chair or seat, this cushion brings the body to a more neutral position by "filling in" the negative space and offering pelvi.. 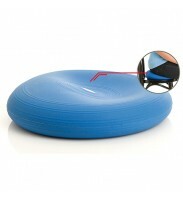 The air filled HappyBack ball cushion makes you sit correctly and trains you along the way. Sitting on this dynamic device makes you sit in an upright posture due to the unstable and flexible seat pad; and in turn the body tightens and your back is strengthened. Trim your body and train your back effectively while sitting in the office, at home, or on a journey, without spending any tim.. This Bad Backs small firm seat wedge encourages you to sit with the correct pelvic tilt position, enabling you to maintain your normal lumbar curve while sitting, helping relieve stress and pressure on your discs. Ideal for any type of sitting surface, and also really useful for those shocking car seats that put you into the completely wrong sitting position. Features: Made of h..